Jennifer Lawrence brings the summer heat in February with this R rated spy movie, Red Sparrow! Ahh Jennifer Lawrence, what CAN’T this woman do? Apart from being one of THE HOTTEST women in Hollywood, she’s also one of the richest, with the prestige of being the highest paid actress in the world way back 2015 and 2016. She’s had highly successful roles such as Katniss Everdeen from The Hunger Games series and now she’s back and fiercer than ever in this R-rated spy movie, Red Sparrow! 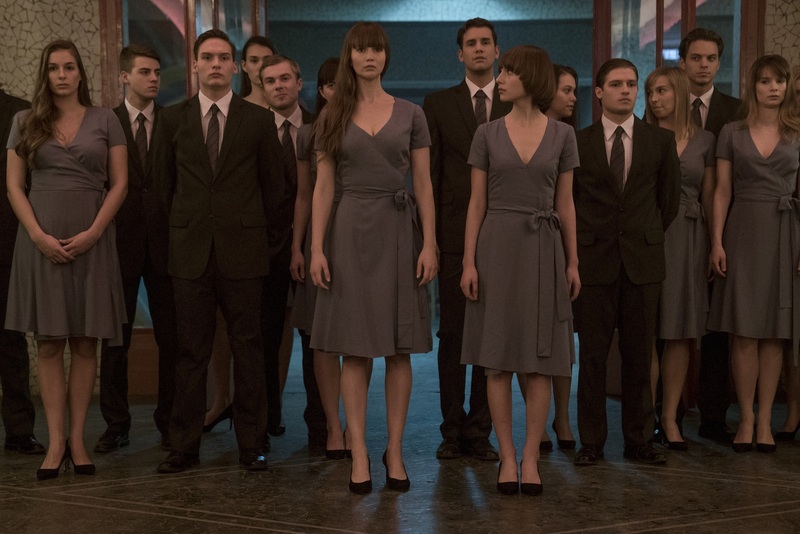 Red Sparrow is based on the novel of Jason Matthews, that follows the journey of prima ballerina Dominika Egorova as she faces a bleak and uncertain future after she suffers an injury that ends her career. She soon turns to Sparrow School, a secret intelligence service that trains exceptional young people to use their minds and bodies as weapons. In the Sparrow School, the trainees undergo a merciless program that turns them into intelligent killing machines. Egorova soon emerges as the most dangerous Sparrow after completing the sadistic training process. As she comes to terms with her new abilities, Dominika meets CIA agent Nathaniel Nash (Joel Edgerton) who tries to convince her that he is the only person she can trust. “This is a thriller, it’s not action, again it’s not gadgety. When we started working on the story, I fell in love with it because I fell in love with the story of the girl in the movie. I fell in love with the character, I fell in love with her dilemma, and I fell in love with how she deals with that dilemma. I’m really attracted to stories about isolated, quite lonely characters, and that’s what pulled me in. Topically and thematically, the Cold War, when we started the project, was sort of irrelevant. That wasn’t back in the news in the way that it is now,” shares the director. If you’re still not convinced, maybe J. Law in a black bikini can change your mind. Red Sparrow opens February 28 in cinemas nationwide from 20th Century Fox! Previous article‘Bleach’ Live-Action Film Reveals its First Trailer! Next articleA show about space premiered in… Space? Check out Lost in Space, the latest offering from Netflix! Happy 10 Years, Star Wars Episode III: Revenge of the Sith!